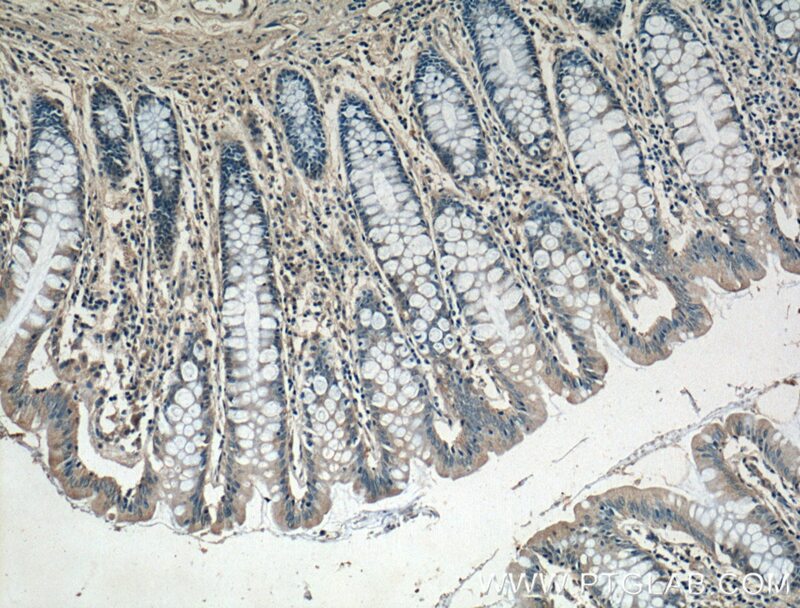 Immunohistochemical analysis of paraffin-embedded human colon tissue slide using 14237-1-AP( DUSP16 Antibody) at dilution of 1:200 (under 10x lens). 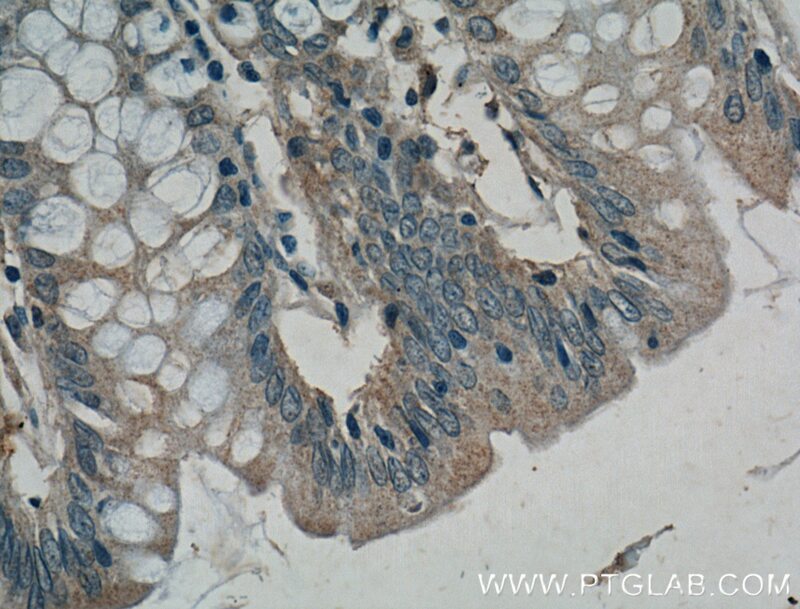 Immunohistochemical analysis of paraffin-embedded human colon tissue slide using 14237-1-AP( DUSP16 Antibody) at dilution of 1:200 (under 40x lens). 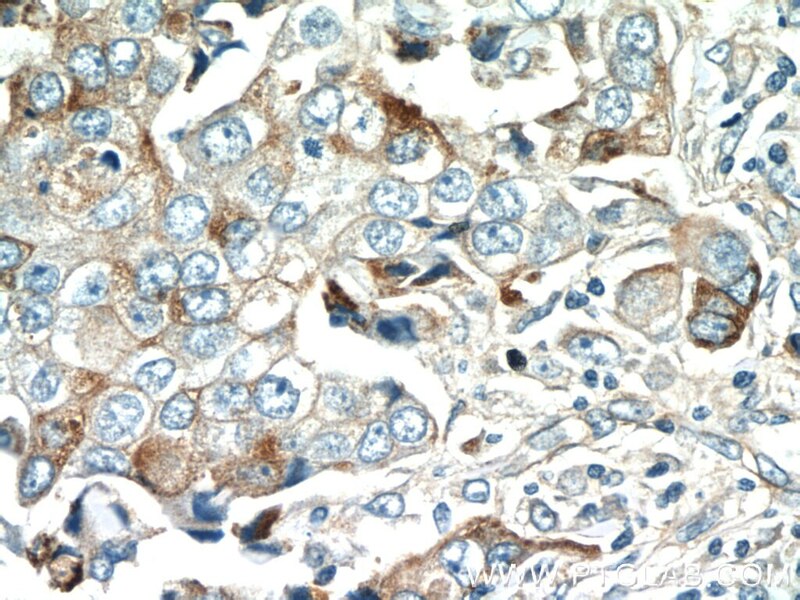 DUSP16, also known as /MKP-7, is a mitogen-activated protein kinase phosphatase that is a member of the dual specificity protein phosphatase subfamily. 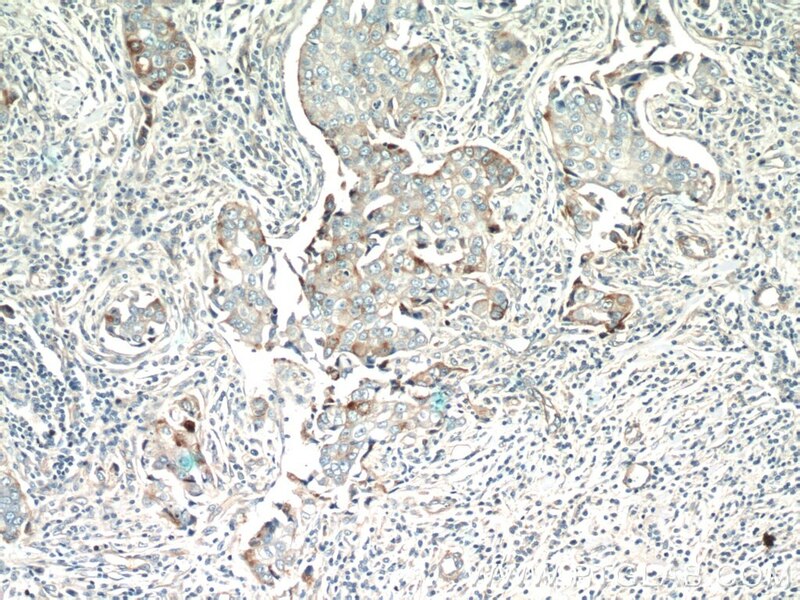 DUSP16 dephosphorylates JUN kinases (JNKs) specifically and thereby regulates T-cell differentiation, which can be responsible for the pathogenesis of Burkitt’s lymphoma and cerebral ischemia. DUSP16 was also found to induce the expression of VCAM-1 through the suppression of JNK signaling.